It’s nice to know we’re not the only ones struggling to come to terms with Channing Tatum and Jenna Dewan’s split, after Ellen DeGeneres made a major slip-up on air this week. While introducing Jenna Dewan – who recently announced her divorce on social media – to her chat show, Ellen made the mistake of calling the World of Dance host by her married name, “Jenna Dewan Tatum”. Realising her cringe-worthy error, the presenter quickly corrected herself and apologised. Later during the interview with Dewan and fellow judges Jennifer Lopez, Derek Hough and Ne-Yo, Ellen addressed her mistake. 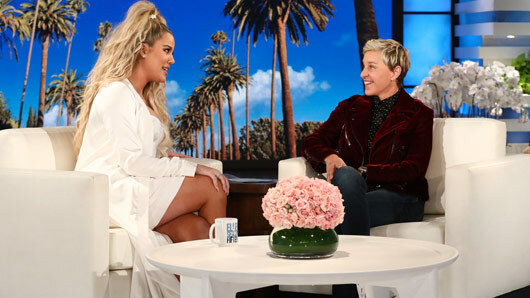 Khloe Kardashian has made her first television debut since announcing her pregnancy with partner Tristan Thompson in December 2017. The reality TV star appeared on The Ellen DeGeneres Show to discuss her unborn baby and share her experience of pregnancy so far. Although Khloe K described her first trimester as “the worst” due to no one knowing about the pregnancy, she admitted there are definite advantages now she has begun to show. She explained: “I think once people know you’re pregnant, you get all the excuses. However, the Keeping Up With The Kardashians star is keen to keep fashion a priority, even if it means being a bit uncomfortable. “I’m gonna try to not wear maternity clothes as long as possible,” she said. Now six-months-pregnant, Khloe revealed how even walking from A to B is a challenge. She said: “The baby is on all my organs so I get out of breath just from walking”. Khloe and NBA star Tristan announced the news of their baby two weeks ago via an Instagram post. 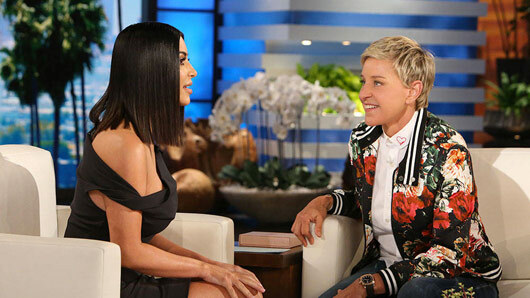 Kim Kardashian had some bad things to say about Caitlyn Jenner’s new memoir on The Ellen Degeneres Show. The I Am Cait star has opened up about her transition and new life as a transgender woman in her latest book, but some of her comments about her ex-wife Kris Jenner have proved controversial with the Kardashian family. 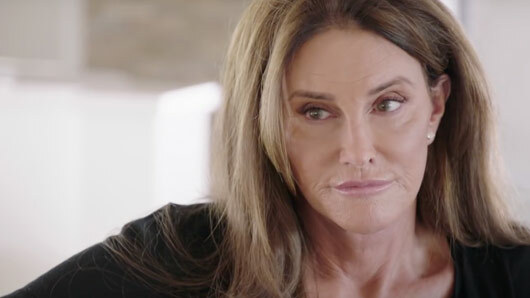 In the book, The Secrets of My Life, Caitlyn accuses Kris of “alienating” her from her children ever since she came out as transgender two years ago. Chatting to Ellen, Kim K dismissed these claims and labelled them “hurtful” and “not tasteful”. She explained: “My heart breaks for my mum, you know, because I feel like she’s been through so much and there’s, you know… [Caitlyn is] promoting this book and she’s saying all these things and you know, I just don’t think it’s necessary, and I just feel like it’s unfair, things aren’t truthful. Kim admitted that she is currently giving Caitlyn the silent treatment. She said: “I haven’t talked to her in a couple of weeks and I’ll always, I mean, I’ll always love her. That was my step-dad for so many years. “She taught me about character and so much growing up and I just feel like I don’t respect the character that she’s showing now. But like I said, we, I’ll still always have a major love for her, for who she was in my life. I’m really sentimental; I think my mum’s that way. 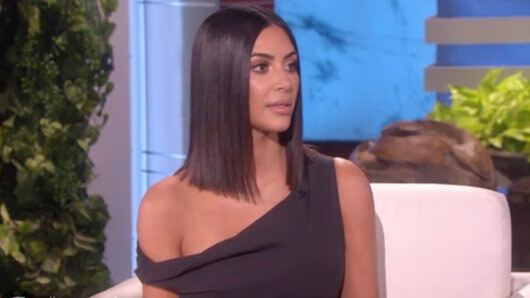 Kim Kardashian has given her first interview since the horrific Paris robbery, admitting: “I know that was meant to happen to me”. Appearing on The Ellen Degeneres Show on Thursday, the Keeping Up With The Kardashians star became emotional when recounting her traumatic ordeal in Paris. During October of last year, Kim was brutally held at gunpoint in a luxury apartment in Paris and robbed of jewellery worth millions of dollars. “I know it sounds crazy, but I know that was meant to happen to me,” she said. The star continued to describe how the incident has made her a less materialistic person: “I don’t want to cry anymore. I really feel like things happen in your life to teach you things. “It was probably no secret, you see it on the show. I was definitely materialistic before, not that there’s anything bad with having things and working hard to get those things. Kim also admitted that she has since increased her personal security. She said: “Meeting with my attorneys and knowing the information that I know now, [the robbers] had been following me for two years. “They had heard interviews that I did, getting excited about this jewellery and that jewellery. I truly don’t know if I’d ever feel comfortable wearing jewellery anymore, or wearing real jewellery again. After some confusing remarks made about her stance on gay marriage in 2015, Caitlyn Jenner has now set the record straight. The Keeping Up with the Kardashians and I Am Cait star attracted criticism after making some seemingly contradictory comments on The Ellen DeGeneres Show in 2015. Despite standing as a proud trans activist and openly addressing her own transition in the media, Caitlyn appeared to marginalise other members of the LGBTQ community during her interview. She said: “I have to admit — I remember 10 years ago, 15 years ago, whenever the whole gay marriage issue came up — at first I was not for it. I’m a traditionalist. I’m older than most people in your audience. The reluctant answer attracted backlash from the LGBTQ community and Ellen herself said she felt her guest’s judgements were hypocritical and not in line with her own interests as a trans woman. The presenter told Howard Stern: “I said, ‘You’re wanting people to understand and accept you – this is, like, really confusing to people. And you still have a judgment about gay people and marriage’. With people still unsure on how exactly the reality star feels towards gay rights, Caitlyn has finally addressed the issue once and for all in an upcoming ABC News special. In a preview clip, viewers see Caitlyn asked by Diane Sawyer about her current stance on LGBTQ marriage as she promotes her memoir The Secrets of My Life: A History. Sawyer continued to ask Caitlyn why she had previously described her attitude as “an evolving process”. The full interview with Caitlyn Jenner will air on Friday (April 21) at 10pm ET on ABC in the US. We don’t know about you, but we were thrilled to learn that The Ellen DeGeneres Show has been renewed until 2020. That means at least another 4 years of that blonde bombshell bringing us hilarious interviews, constant pranks, and all round joy. First airing in 2003, the show has won a whopping 28 Daytime Emmy Awards and has earned Ellen herself 14 People’s Choice Awards as host. The show is consistently ranked as one of the highest viewed talk shows in the US and Ellen’s unique brand of kind comedy and gloriously warm personality are just scratching the surface of why this show is so successful. Ellen has the ‘best friend’ quality that a talk show host should have, we all feel like we would get on like a house on fire if only our lives crossed paths. Whilst she doesn’t grill her guests for groundbreaking stories with Nixon-Frost-esque techniques, she does something else incredibly important – she makes people happy. To celebrate this little Louisanan bundle of joy, we thought we’d take a look at her finest moments over the last 12 years. 2003 also saw Ellen star in the incredibly successful Pixar film Finding Nemo as the voice of amnesiac sidekick Dory. As shown below, DeGeneres “campaigned” tirelessly to bring the popular character back and finally, we were given the news that Finding Dory will hit our screens this year (June 2016). Ellen is such a natural in the limelight that when she doesn’t get cast in box office hits like Finding Nemo, she finds her way in anyway. Her cameos vary from fragrance adverts with Matthew McConaughey to shaking her thang with Nicki Minaj. See if you remember this small part she had in Twilight. Whilst we haven’t personally had the joyful experience of being an audience member for a taping of The Ellen DeGeneres Show, we know that dancing is a big part of the experience. With the immortal words “I’m gonna dance” she glides through the audience with some fabulous dad moves. Sometimes, somewhere, a unicorn grants a wish and her celebrity guests dance with her; this 2008 clip shows Obama, pre-presidency, showing off just how much cooler than George Bush he is. A child at heart, Ellen is infamous for her pranks. You’re not a true friend of Ellen’s if you haven’t been terrified by her or made to look a fool. Here, recurring guest Justin Bieber dresses up as a security guard and messes with audience members, all controlled by a devilish Ellen whispering in his ear. Presumably running up a huge bill on costume hire, Ellen has a constant array of creatures and characters jumping out on her guests during interviews. None more so than poor, innocent (pah) Taylor Swift as this near 6-minute clip demonstrates. Comedy aside for a second, Ellen is also praised for her big heart and willing to help others. She takes real joy from showcasing talent on her show and trying to make some little kids’ big dreams come true. Take 4-year-old Kai for instance, who has appeared multiple times on the show. He got to meet and sing with his hero, Bruno Mars, as well as having the opportunity to serenade Ellen with this ballad. When she’s not pranking her guests, Ellen’s getting them involved in games specifically designed to embarrass them – and we love it. “Never Have I Ever” is her current go-to to dish the dirt on everyone from Kim Kardashian to Justin Bieber. …but best of all, she sends her producer Andy Lassner around a haunted house. Sometimes she gives him someone to cling onto, sometimes he braves it alone. One thing is guaranteed though, if you watch even 30 seconds of these videos, you will find yourself ugly cry laughing instantly. Watch all of them, seriously. Thanks for all the laughs so far, Ellen. Long may you reign. Find more clips of The Ellen DeGeneres Show on her YouTube channel here.